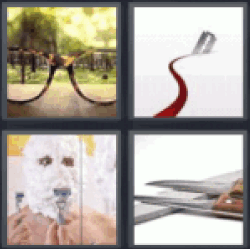 4 Pics 1 Word Eye glasses. Razor blade. Shaving with a lot of shaving cream. Knives.